Debating Matters came to Southampton to give six local schools the chance to test their ideas and arguments in the unique debating format where substance rather than style carries the day. After a hard-fought day of debate, it was St Swithun’s School who came out on top, impressing the judges and their peers with their outstanding ability to marshal arguments and deliver ideas. In a heated final debate on the motion ‘Monuments to controversial historical figures should remain’, St Swithun’s saw off an impressive team from St George’s College. The final debate saw St George’s College defend controversial monuments as essential to learning from the past, against St Swithun’s who argued that such monuments should be removed from public display and put in museums instead. With generous support from the hosts Solent University and NATS, the UK’s leading provider of air traffic control services, a fierce day of debates saw the schools tackle topics such as ‘Tourism benefits the world’, ‘Technological progress will not solve society’s environmental issues’, and ‘Social media sites should filter out fake news stories’. 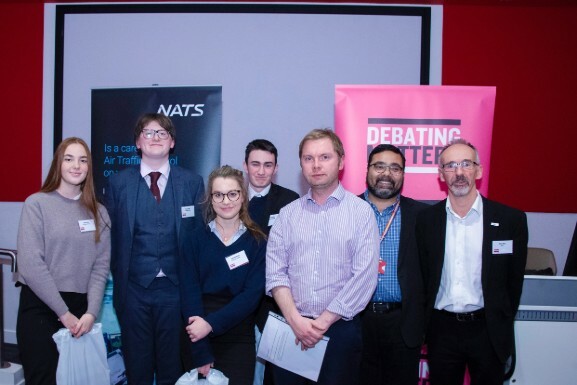 In judging these debates, Debating Matters was able to draw on expert judges from both Solent University and NATS, who put the teams on the spot. As ever at Debating Matters, the students relished the opportunity to show off their research and demonstrate their arguments. The judges also awarded Linus Johnson from St George’s College the prize of ‘Best Individual’ for his penetrating questions and wide base of knowledge, with Joe Kirby of Bay House School and Florencia Atria of Brockenhurst College picking up the ‘Highly Commended’ and ‘Commended’ titles respectively. 1. 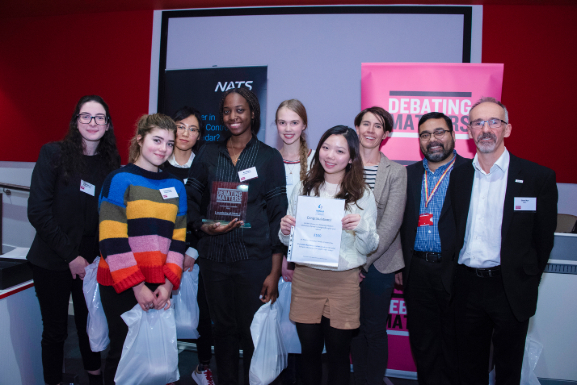 For further information about the event, the Debating Matters competition or to request photos or interviews with students, teachers, judges and other participants, please contact Jacob Reynolds on 020 7269 9231 or email jacobreynolds@academyofideas.org.uk. 5. 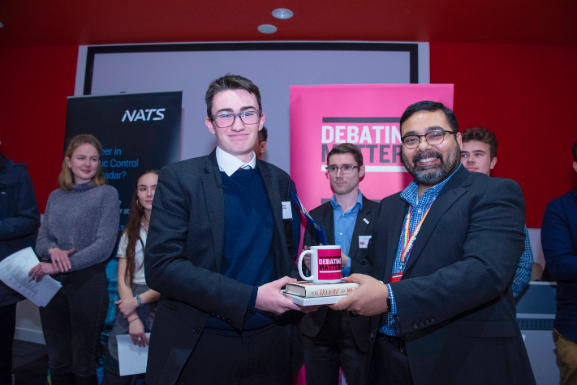 Created in 2002, Debating Matters is a national sixth-form debating competition for students from around the UK. DM offers a fresh, accessible and engaging format for debating contemporary real-world issues, with an emphasis on substance, not just style of debating, and the importance of taking ideas seriously. 6. Debating Matters is a project of the Academy of Ideas. The Academy of Ideas was founded in 2000 to provide a forum committed to open and robust public debate in which ideas can be interrogated, argued for and fought over. The Academy of Ideas organises intelligent public debates, including an annual festival of discussion and debate in London, the Battle of Ideas. 8. 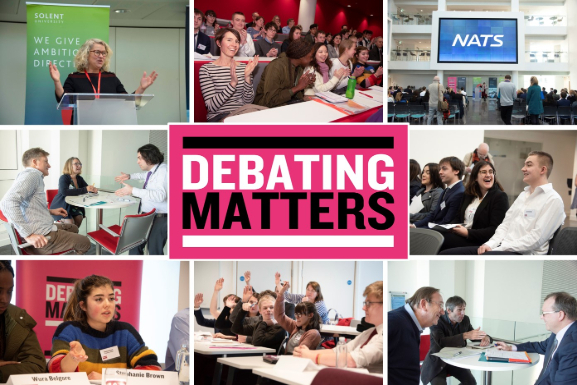 For further information about the competition, visit www.debatingmatters.com.